Ernesto is a partner in the Firm’s Tax group. 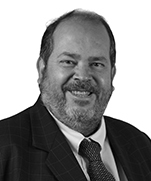 He has been with the Firm since 2000 and focuses on tax, mergers and acquisitions, and foreign exchange matters. He has been involved in several due diligence matters for the purchase and sale of companies in the mining sector in order to list such mining companies with the Canada Stock Exchange. He provides advice to companies in other sectors such as financial, industrial and manufacturing, among others. He is currently a member of various boards of directors for clients in such sectors. His practice benefits from his previous experience with KPMG. Mining companies: Worked on several due diligences for the purchase and sale of mining companies. Mining companies: Worked on several due diligences to list mining companies with the Canada Stock Exchange. Diana Corporación: Acting as legal advisor in the purchase of Grupo Monterrey. Assa Abbloy: Acting as legal advisor in the purchase by Assa Abbloy of a local company. Heineken: Acting as legal counsel in the due diligence for the purchase of Bavaria S.A.
Orica: Successfully negotiated the extension for ten years of a co-production agreement between Orica and a government entity.